The NAHJ Washington, D.C. Chapter Board is pleased to announce Ray Suarez from Al Jazeera America and Maria Rosa Lucchini from Noticias Washington, D.C. will co-moderate the D.C. Latino Caucus Mayoral Forum and Straw Poll. The event will happen Saturday, March 1 at the Josphine Butler Center on 15th Street in Northwest Washington from 2:00 to 4:00 PM. All eight mayoral candidates have confirmed. 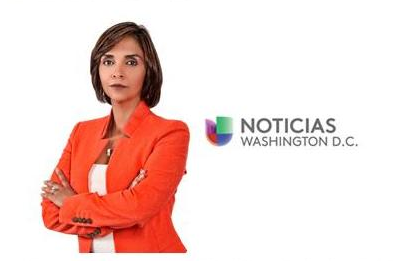 Maria Rosa Lucchini co-anchors the 6 and 11 PM newscasts at Univision Washington, D.C. She joined Univision Washington in 1999. She covered the September 11th terrorist attacks in Washington and the case of the D.C. Snipers. She also covers immigration, politics and news that affects the Latino community in the District, Maryland, and Virginia. 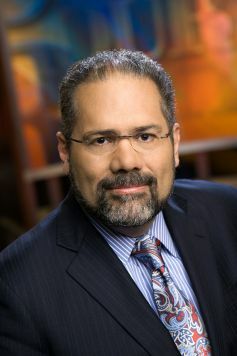 Ray Suarez hosts Inside Story weeknights on Al Jazeera America from its Washington Bureau. He presents national and international stories. He most recently served as Chief National Correspondent for PBS NewsHour. Suarez was inducted in the National Association of Hispanic Journalists Hall of Fame in 2010. He has written books on politics, religion, and the history of Latino Americans. The National Association of Hispanic Journalists is a registered non-profit 501(C)(3) organization. Our D.C. Chapter has 100 members in the District, Maryland and Virginia. They report for local, national, and international media companies including NBC Universal, Telemundo, Univision, The Washington Post, The Associated Press, USA Today, and CNN en Español.